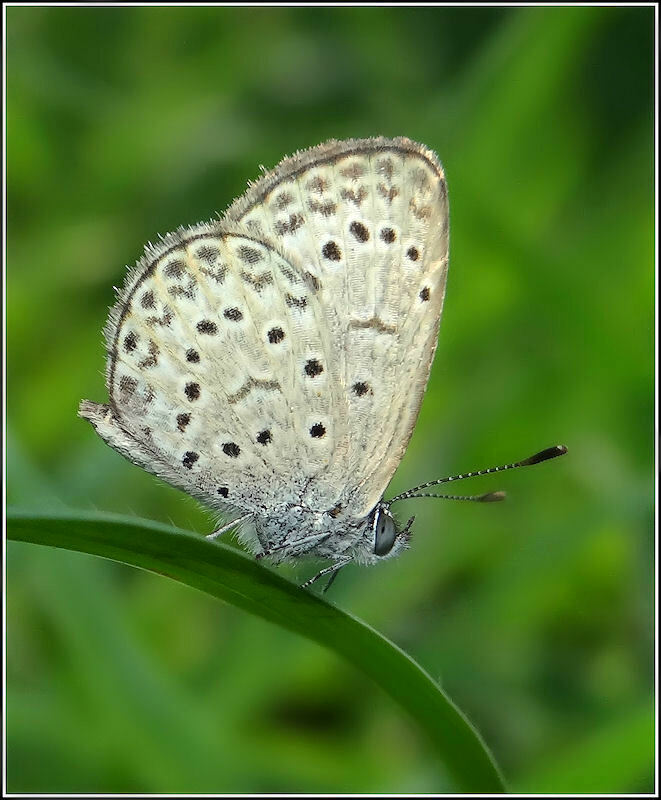 The Dark Grass Blue or African Grass Blue (Zizeera knysna), is a species of blue butterfly found in Africa, on Cyprus and the Iberian Peninsula. Sometimes mistakenly called Zizeeria lysimon (Hubner), that species name is invalid as it is preoccupied by Papilio lisimon Stoll, , a butterfly in the family Riodinidae. The wingspan is 18-23 mm for males and 21-26 mm for females.The butterfly flies nearly year round. Zizeeria knysna è un insetto lepidottero della famiglia Lycaenidae. Apertura alare del maschio: 10-12 mm. Diffusione: Portogallo meridionale, Africa settentrionale, Sicilia, Creta. Cibo delle larve: Oxalis spp., Medicago spp. Very nice capture Luciano. Wishing you a very nice weekend. Impressive details and exceptional colors. Well composed exposed beautiful and I love that, excellent. Well background for this Dark Grass Blue. No doubt on details and exposure. Well captured. Well captured this beautiful species. Another fine capture with your compact camera, Luciano. My got damaged and is not working well after the repair. La tige aide au cadrage de l'insecte. La prise de vue permet de voir les détails du papillon Zizeeria knysna. La lumière fait ressortir les couleurs. Bonne journée.